Painted Furniture Cottage Farmhouse Painted White Ceramic China Sugar and Creamer set with Ivy by Laurie Rohner. 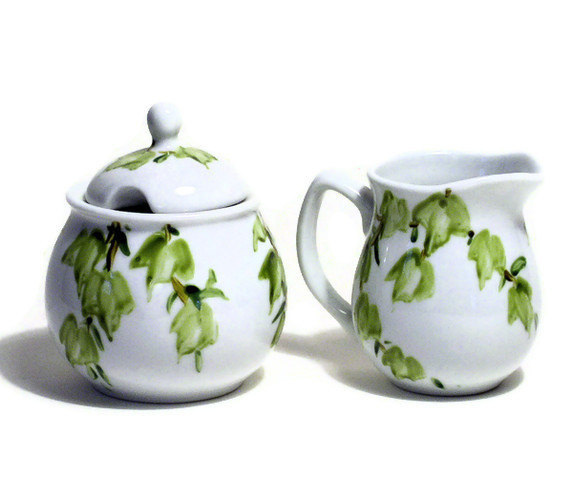 Cottage Painted Creamer and Sugar Set with hand painted green ivy on white china. Ivy painted with special china paint drapes down the sides of the creamer and sugar set. 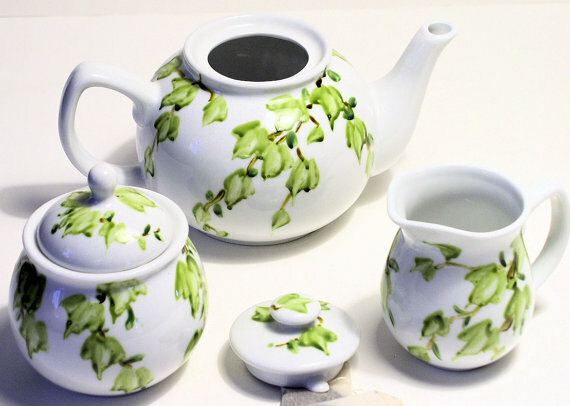 Buy this set with the the painted matching teapot shown in photos for a holiday tea lovers gift. Excellent condition. I would hand wash since dishwasher are changing all the time. Creamer 4.75 tip to tip, 4"h x 3.25dia. Sugar: 5"h x 4" dia.